ONE of the world’s leading experts on Stonehenge discovered his passion for archaeology as a child in his Cheltenham back garden. Professor Timothy Darvill has been awarded an OBE, in this year’s Queen’s Birthday Honours List, for services to archaeology. He is a leading expert on prehistoric Britain. He said it was a “great privilege” to receive the honour from the Queen earlier this month at Windsor Castle and thanked his colleagues, friends and family. “I have always been passionate about archaeology and feel fortunate to have contributed to so many amazing projects that have revealed such a great deal about our nation’s history and heritage,” he said. Born and bred in Cheltenham, Prof Darvill has been passionate about archaeology since he was a child, according to his mother Win Darvill. “He has always been interested from when he was a small boy. He used to dig holes in the garden all the time,” she said. The family lived in the Battledown area and Mrs Darvill now lives in Pittville. Timothy Darvill is now a professor at Bournemouth University. She said her son grew up in the right area to find all kinds of interesting landscapes. But he developed an interest in Stonehenge from a young age too. “He has done a lot of work on it and written many books about it. I read them but I wouldn’t like to write an essay on them,” she said. 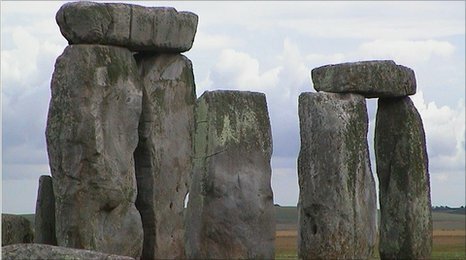 The author of more than 20 books and 200 papers and articles, Mr Darvill famously co-directed the first excavations within the stone circle at Stonehenge for more than 40 years in April 2008. His work featured in a BBC Timewatch programme, which examined the theory that Stonehenge was a prehistoric centre of healing. After completing a PhD at Southampton University on the Neolithic of Wales and the west of England, he worked with the Western Archaeological Trust and the Council for British Archaeology before establishing a private practice offering consultancy services in the field of archaeological resource management. In October 1991, he was appointed to the chair of archaeology in the newly-established archaeology group at Bournemouth University and led the Monuments at Risk survey commissioned by English Heritage in the mid 1990s and has worked in Russia, Malta, Greece, and Germany. He is chairman of the board of directors of Cotswold Archaeology, one of the top archaeological companies in the UK, and vice-president of the Society of Antiquaries of London. Tomb or temple? ... Silbury Hill, Wiltshire. ‘The past,” says David Attenborough, “is a haunting and fascinating place.” The great naturalist is revealing a little-known side of himself: his love of archaeology – and his fascination with Silbury Hill in Wiltshire. 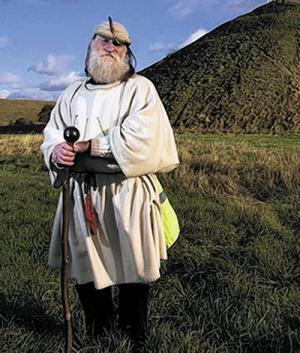 The tallest prehistoric man-made mound in Europe, Silbury Hill rises to a height of 37 metres, making it comparable with the Egyptian pyramids and the ziggurats of Mesopotamia. In a new English Heritage book about the hill, Attenborough tells how, in 1968 as controller of BBC2, he commissioned a programme that involved tunnelling into its depths to discover why it was there. At the time, the programme was judged a flop, since it found no treasure, no tomb, no real answers at all. Attenborough is now seeking to set the record straight. He argues that, far from failing, TV’s first live dig triggered an unlikely chain of events that recently led to the tunnel being reopened and re-examined, using modern techniques. “They did not unearth any material treasure either,” he writes, but instead “added more details to our knowledge and understanding.” And this, you could say, is the true purpose of archaeology. In fact, the reopening of the tunnel vindicated the project Attenborough is so proud of: it revealed perhaps as much as will ever be known about this most mysterious of ancient monuments. 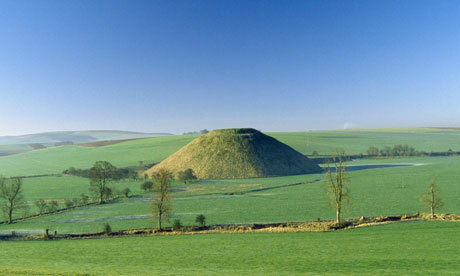 Silbury Hill is near Avebury, a quaint English village set inside a prehistoric stone circle. The village is part of a world heritage site that takes in Stonehenge and Silbury Hill. Raised in the same era as the mighty Stonehenge, and just as much of an enigma, the hill boasts chalk sides covered with grass. Construction of the vast, flat-topped cone would have required hundreds of workers and taken an age, but the people who built it left no records as to why. The plan was to dig a tunnel into the heart of the hill. Professor Richard Atkinson, who led the dig, had interesting ideas about what might be in there. “Richard was the first to notice Mycenean daggers on Stonehenge,” says Attenborough. These made Atkinson believe Stonehenge was built by a culture in contact with ancient Greece, whose chief wanted a dramatic tomb. In 2000, not just a slump but a hole appeared. Was the tunnel collapsing? 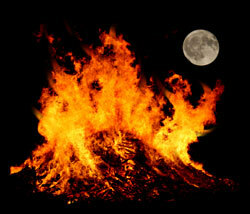 No: this was caused by an 18th-century shaft, but archaeologists were still worried. They decided to reopen the BBC tunnel, deploying the latest tools and tests, and then seal it forever. The new dig suggested that the hill was not a tomb, but a temple – perhaps the greatest in Europe 4,000 years ago. It also showed the hill started as a sacred site, where people came bearing stones; they may have believed they possessed healing powers. Certainly, stones are embedded in the structure and are thought to be highly meaningful by archaeologists. It is like Britain’s later cathedrals, which rose up over shrines. Sun worship flourished in prehistoric Britain, so perhaps this was – like those ancient ziggurats – a stairway to heaven to let priests get closer to the sun. 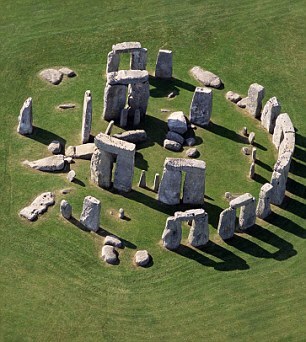 English Heritage looks after Stonehenge on behalf of the nation. But we do not control the copyright of all images of Stonehenge. And we have never tried to do so. We have no problem with photographers sharing images of Stonehenge on Flickr and similar not-for-profit image websites. We encourage visitors to the monument to take their own photographs. If a commercial photographer enters the land within our care with the intention of taking a photograph of the monument for financial gain, we ask that they pay a fee and abide by certain conditions. English Heritage is a non-profit making organisation and this fee helps preserve and protect Stonehenge for the benefit of future generations. The majority of commercial photographers respect this position and normally request permission in advance of visiting. We regret the confusion caused by a recent email sent to a picture library. 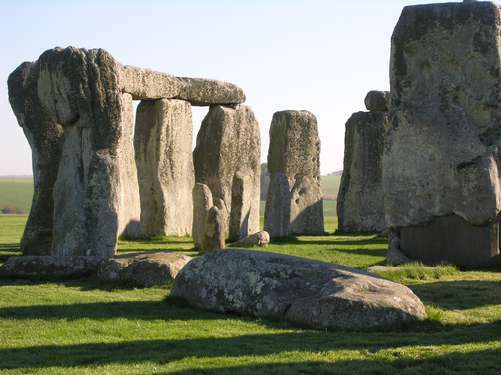 It has taken more than 11,000 years but finally the Druids, who lead the seasonal celebrations at Avebury and Stonehenge, can say they belong to an officially recognised religion. No one is more delighted at this recognition than Druid priest Terry Dobney, who lives at West Kennett, and styles himself as the Archdruid of Avebury and Keeper of the Stones. Every Midsummer’s Day Mr Dobney, 62, can be seen wearing his ceremonial robe, carrying his staff and with a pheasant feather in his flat cap leading the Summer Solstice celebrations in the stone circle at Avebury. This week the Charity Commissioners revealed they were granting the Druid Network, the umbrella organisation for Druid groups across the UK, charitable status for the first time. That decision establishes Druidry as a recognised religion under UK charity law for the first time giving it the same status as Christianity, Islam and Hinduism. The ruling recognised that the Druid Network served “to advance religion for the public benefit” although in practice, said Phil Ryder, chairman of the Druid Network trustees, it means very little financial benefit for the Druids but established an important principle giving them official recognition. As well as regulating secular charities the Charity Commissioners decide what qualifies as a legitimate and genuine faith. 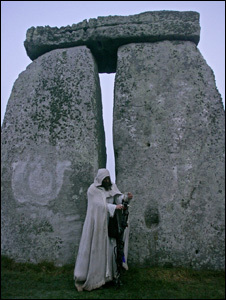 Mr Dobney, a practising Druid for more than 40 years, said: “It is high time that the Druids were recognised not only as a religion but as being one of the oldest religions in the world. “Druidism dates back to more than 11,500 years ago and pre-dates Judaism. To become a recognised Druid, he said, entrants had to serve an apprenticeship for seven years under a senior Druid and could not call themselves a Druid until completing 21 years of training. As well as leading the summer solstice and other seasonal celebrations at Avebury, Mr Dobney also conducts Druid handfastings (marriages) and other religious ceremonies throughout the year. 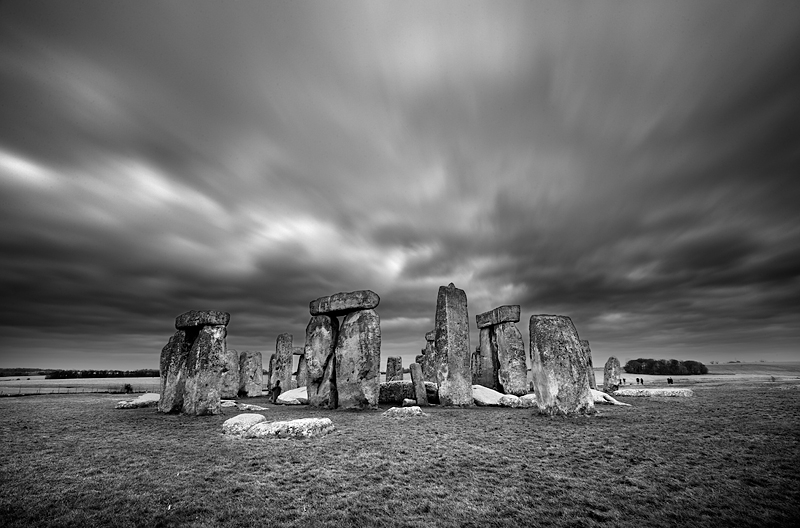 Stonehenge and Avebury World Heritage Site is one of Wiltshire and the UK’s greatest assets. It is internationally recognised as one of the top ranking places in the world alongside cultural marvels such as the Pyramids and natural wonders like the Great Barrier Reef. World Heritage Sites need very careful management and protection. A new consultation has just been launched on a document that should help us to provide this. The consultation gives the public a chance to comment on a document that summarises exactly what it is that makes Stonehenge and Avebury internationally important. The document will provide a crucial reference for those making decisions on how best to manage the World Heritage Site and look after the very special features which qualify it to appear on the World Heritage List. A clear definition in one document should help us protect the World Heritage Site for this and future generations. Since 2007 UNESCO has asked new World Heritage Sites to provide a Statement of Outstanding Universal Value as part of the nomination process. 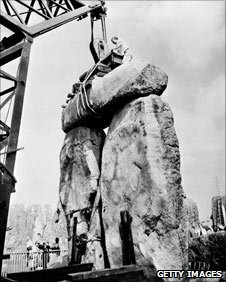 Stonehenge and Avebury became a World Heritage Site back in 1986 and along with a large number of other sites across the world we now need to produce a Statement of Outstanding Universal Value. Stonehenge and Avebury are important to very many people for a wide range of different reasons that are taken into account in their respective Management Plans. The Statement of Outstanding Universal Value sets out to define only the values related to its impressive prehistoric monuments which got Stonehenge and Avebury onto the World Heritage Site list in 1986. If you would like to be part of the process of protecting the World Heritage Site you can look at the draft Statement of Outstanding Universal Value on line and leave your comments. The consultation is open until the end of October. 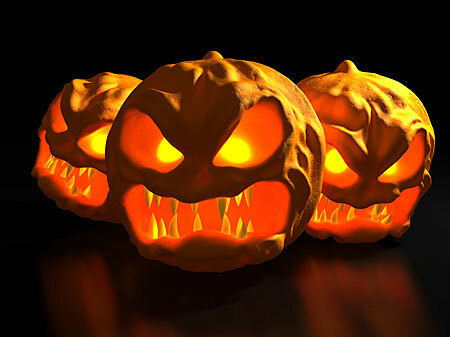 You can find it by visiting the Wiltshire Council website.